When the weather starts to get really cold in the winter, you do sometimes have to feel sorry for your cat. While you are able to get under thick warm covers at night and go to sleep, cats have to curl up in a ball in their beds in order to stay as warm as possible. All that is a thing of the past however with the new heated cat beds on the market right now. Thanks to thermostats in the majority of heated cat beds that regulate the temperature, your cat will be able to curl up and feel the warmth coming through quickly so they can get plenty of comfortable rest. Not only that, but some companies are now even offering heated mats that either be used outdoors or can be placed on other beds. So even if you have a cat that is really attached to its bed and you don’t want to get rid of it, you can still buy a heated mat to keep it warm during those cold winter evenings. Here you can have a look at the best heated cat beds and mats on the market right now so then you can see which one your cat will like the most. 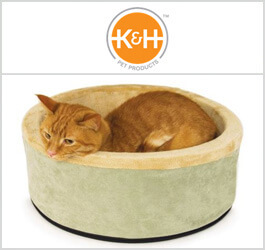 K&H Manufacturing is quickly becoming considered one of the leaders when it comes to heated cat beds. They have a wide range of models, all of which are designed for either indoor or outdoor use, and they are all able to match your cat’s body temperature. Some even come with addition features like a hood to help spread the warmth and comfort all around your cat. Whether you have one adult cat or several young little kittens, you will be able to keep them happy and comfortable at all times with this range of heated cat beds and mats. There are a wide range of different heated cat beds on the market right now, but there isn’t really anywhere where you can find the wide selection in one place. Millard is the exception to this, as they have a wide variety of different heated beds, mats and warmers that you need. 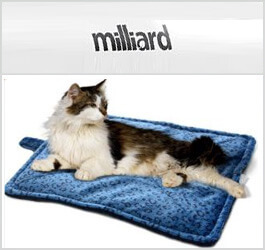 Whether you want a brand new heated bed or you want something to keep your cat’s favourite bed or mat warm, Millard have the range of products you need so then you can purchase something that will keep you and your cats very happy. Simply looking for a heated mat for your cat’s bed is a difficult task, mainly because of the wide variety of models available on the market right now. 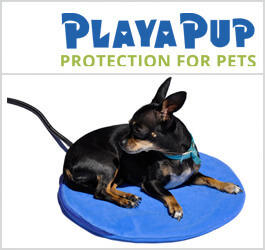 Thanks to companies like PlayaPup however, you are able to find a heated mat this is more than suitable for you, your cats and your domestic situation. You can even purchase from them a heated mat that can help soothe the aching bones and joints in an older cat. The rest of the models offered by PlayaPup are simply all-rounders that suit almost any situation. There are not many companies on the market right now that are able to provide quality as good as this.